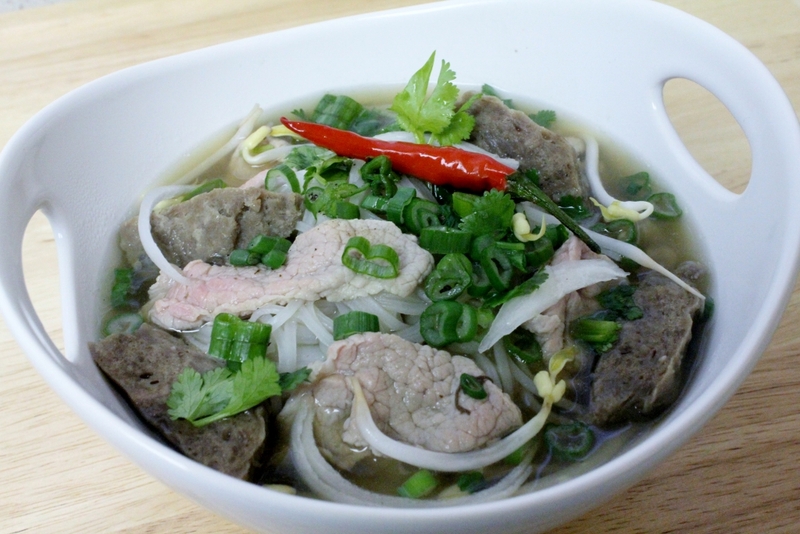 Today, I am going back to my roots and sharing with you one of my all time favorite dishes, pho bo, or Vietnamese beef noodle. 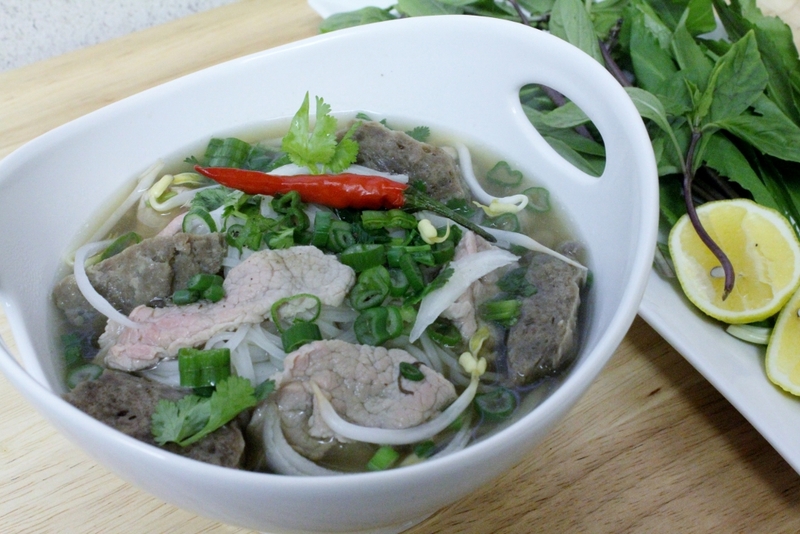 Pho is a northern Vietnamese dish that has become well known worldwide. 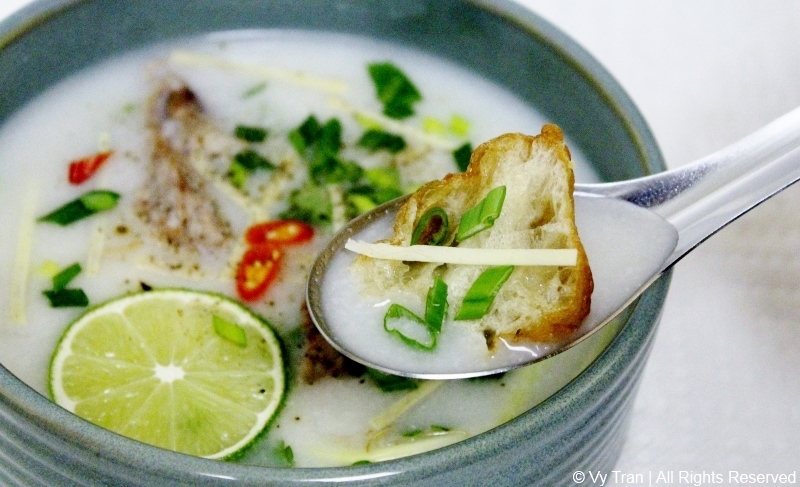 Whether you are traveling in Asia, Australia, Europe, Canada, or America, you will likely find a restaurant with this wonderful soup. If you can find a Vietnamese community, you can find a pho restaurant. 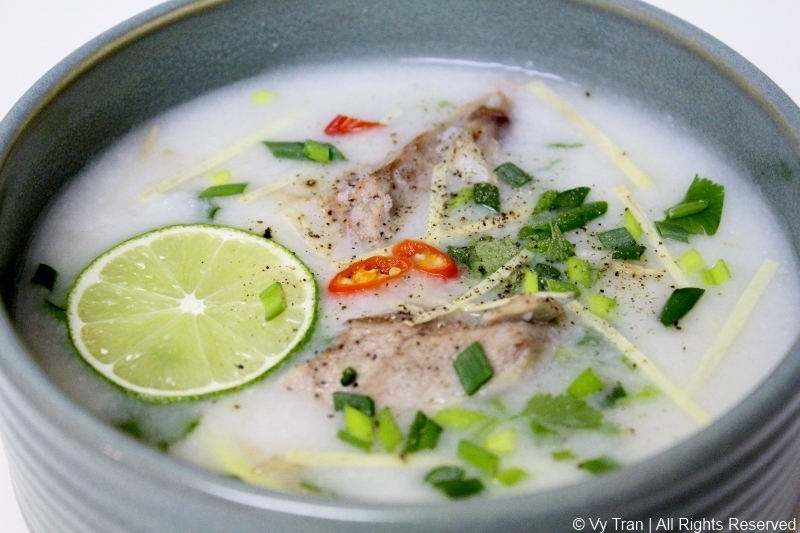 I grew up on pho, eating it for breakfast and lunch from the street vendors near my house. And during the cold, rainy nights, it was the perfect soup for dinner. My dad, a northerner, passed on his family recipe to my mom who came from south Vietnam. 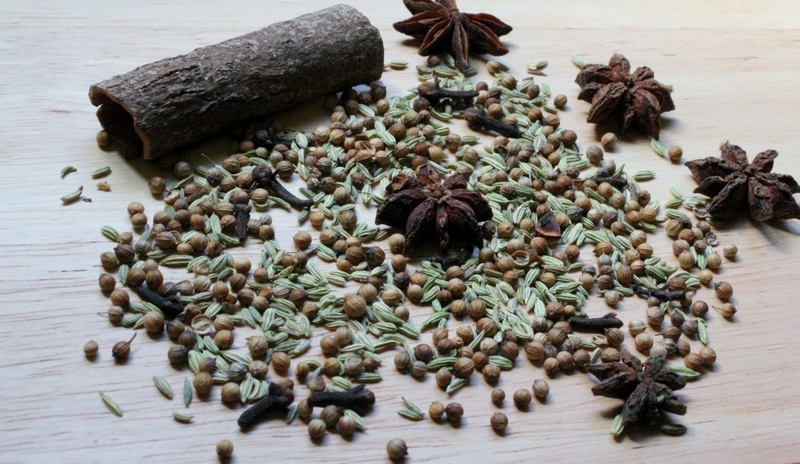 Pho has a wonderful broth, flavored with star anise, Saigon cinnamon, charred onion, ginger, and many other spices. The original recipe does not call for chicken stock, but my mom, who has more than 50 years of cooking experience under her belt, passed on her secret that one can of chicken stock adds even more flavor to the soup. The daikon also adds a hint of sweetness lessening the amount of sugar needed. Similar to many other Vietnamese noodle dishes, pho is served with lots of greens, mainly hung que (Thai basil) and ngo gai (which I do not know the English translation). I also like the texture of bean sprouts in mine. It adds a bit of crunch. And of course, a bowl of pho is incomplete without the hoisin sauce and Sriracha! 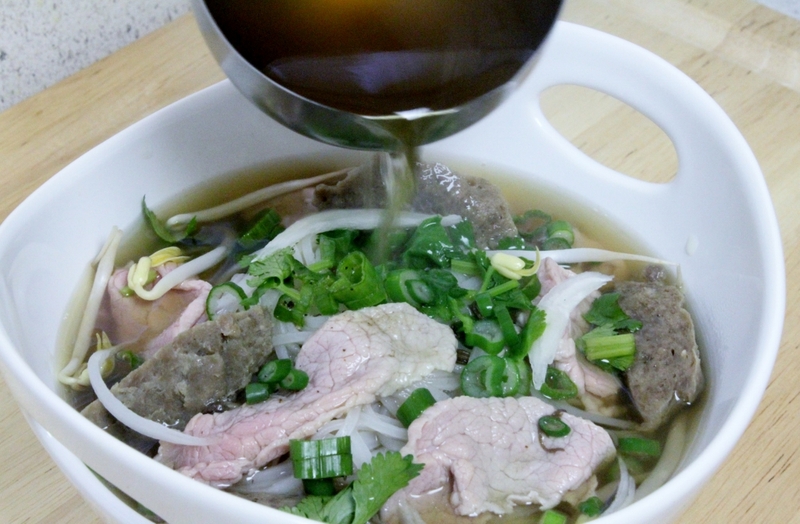 People like to add brisket, tendon, tripe, and flank to their pho, but I enjoy mine with round steak and bo vien. 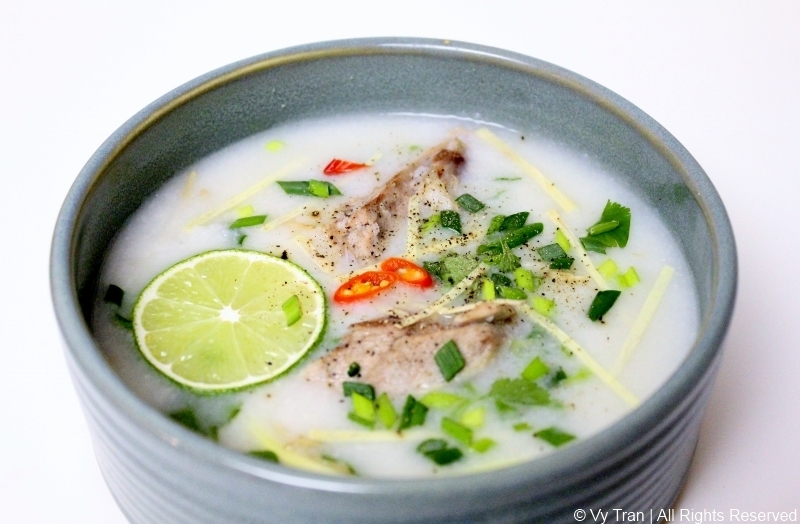 I am happy to share with you my mom’s recipe and hope it will send you in the right direction on your pho adventure. Preheat the oven to 375˚F. Place the ginger, onion, and spices in the oven and broil for 10 minutes. 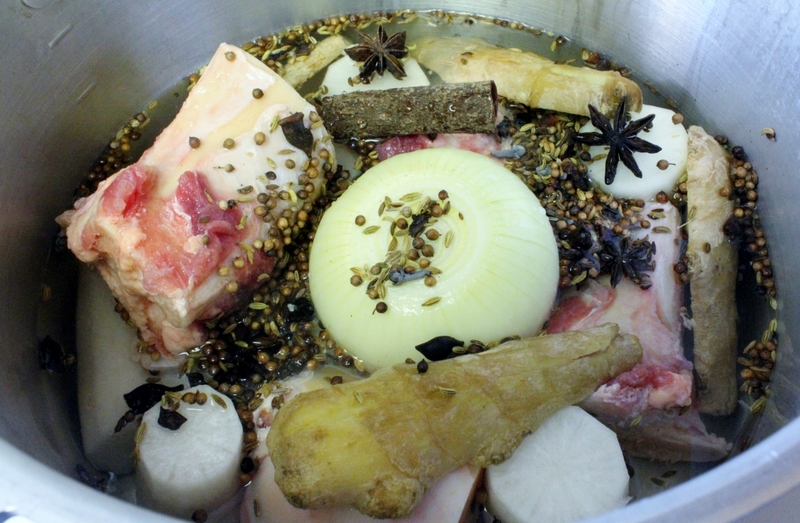 Clean the beef bones with warm water and place them in a large stockpot. Add the daikon, ginger, onion, spices, salt, and water to the pot. Cook on medium heat for three to four hours. Remove any scum. Strain the broth and transfer to a clean stockpot. 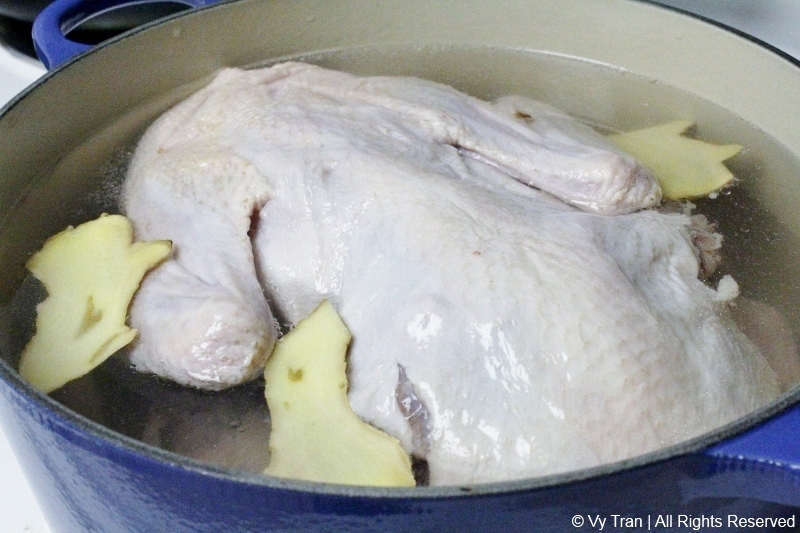 Add the chicken stock, fish sauce, sugar to the new pot and adjust the seasoning to your liking. Let it simmer for another hour. 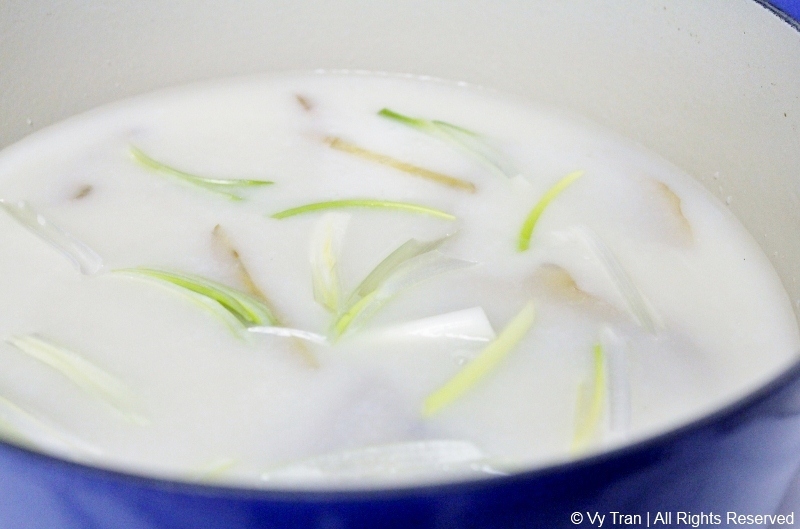 To cook the rice noodle, in a clean pot, bring water to a boil. 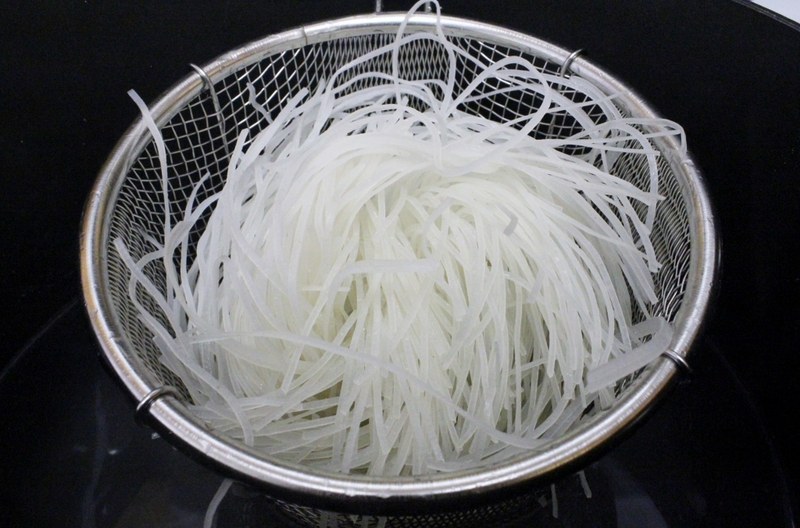 Immerse the rice noodle in the boiling water for a few seconds so you do not overcook the noodle. When ready to serve, place the bean sprouts and noodle in the bowl. Place the steak and meat balls on top. Add the hot broth to the bowl, and garnish with cilantro and green onion. 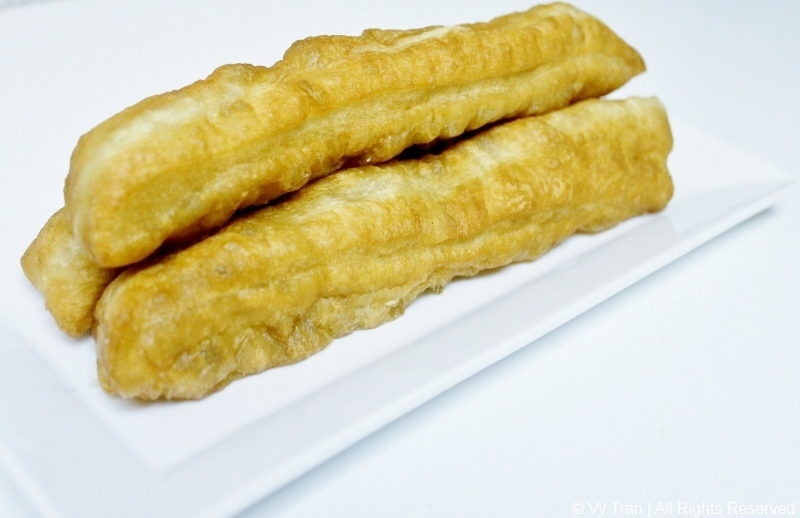 Serve with hung que, ngo gai, lime wedges, and condiments.